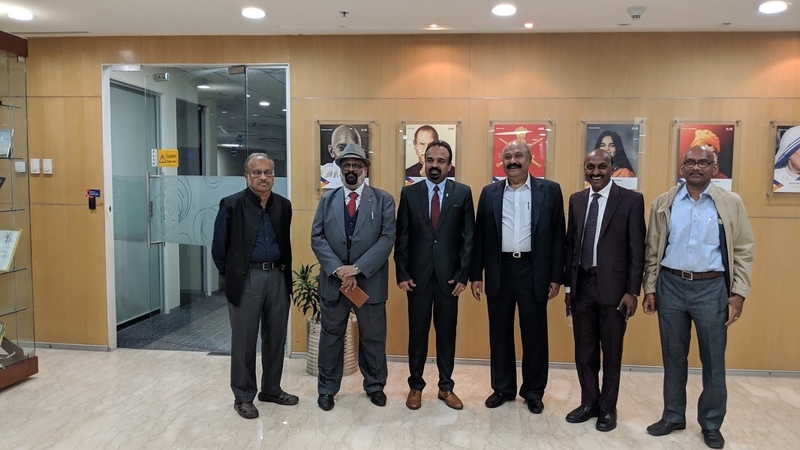 Our President Nagender Aytha, Chairman Shankar Setty, International directors Sanyasi Rao Vuppala and Kittanna met with Sri GMR gaaru on Dec 25th 2018 at the corporate offices of GMR. Our President Nagender Aytha presented NRIVA Vision 2020 plan. Sri GMR garu felt very happy and impressed with the plan. Our President discussed about NRIVA-GMR Matching Grant and convinced GMR garu to factor the first contribution in next year budget. This long pending project is finally coming to reality. GMR garu congratulated our team for creating Vision 2020 plan and taking up so many great service programs.